At first glance certainly yes, but on closer inspection, I can only state: Professional is certainly only the price. At this price, I get a Top PC + 50 inch TV + Fritz Box and a lot more. Make it clear that I can expect much more brain fat on the part of the manufacturer in a keyboard at the called price. midi in) and 5 so-called multimode expander, which can be addressed both midi-moderately as well as mixed-console separately. 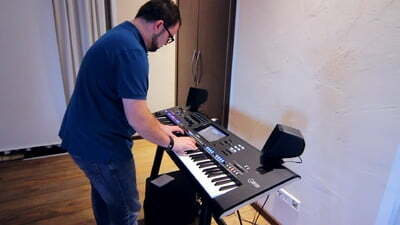 This system has the advantage that the midi system can be the same for many years and the keyboards can be easily exchanged without having to change the midifiles. Since the Miditemp has not been produced for a long time, now had an alternative, (which is not) of the Genos ago. 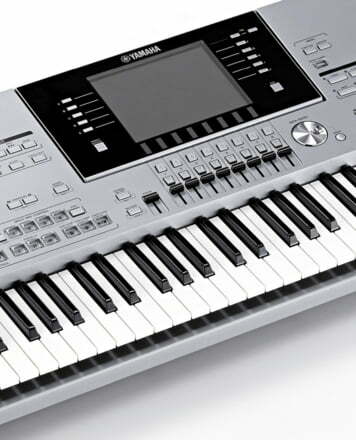 Had not thought that a common program change 1 Yamaha (Display Genos) in the sequencer program number 0 has. Had not thought that a GS Programmchange 35 from Bank 64 at Yamaha produces the sound wind. Thus all my bass tracks in the Genos have to be revised. Always thought, the Midi standard applies to all manufacturers. Thus, there is also a direct driving of existing sound expanders, for example: the Roland Integra 7 or JV 1080 without corresponding translator (miditemp, which no longer exists, other devices are also not on the market). not possible. At the price you would have called the control of external devices can easily implement in the keyboard. But what bothers me most in Songplayer is the selection of the next song. While the active song is playing, it will be interrupted as soon as the next song is selected. So nothing with looking while a file is running. For the ambitious home player this is certainly a professional device with many little wonders and aha effects. Unfortunately not for me. Which professional already has the time, for weeks to deal with the control of the data scheme and the control of external devices ?? After the surprise of an advanced delivery of 7 days, a Thomann on-packing well heckled by the transport but which did very well its work of protection. Easy unpacking, installation of HP left and right of the subwoofer underneath. Good some keypads have been moved, others missing (now touchscreen), And there ...... introduction of the Yamaha stamped leather USB key with all my registers registered on the Tyros3. 10s to find the selection command then the shock. installed at 19:00 lying down at 2:30. This is to tell you the pleasure of playing on this wonder, without even opening the manual. The + The Live Control is really essential, the Voices even closer to reality see better for some. The - uh for now ..... there is none ah if the price. The next weekend I plug the Genos on my Mackie SRM 450. ID: 422200 © 1996–2019 Thomann GmbH Thomann loves you, because you rock!